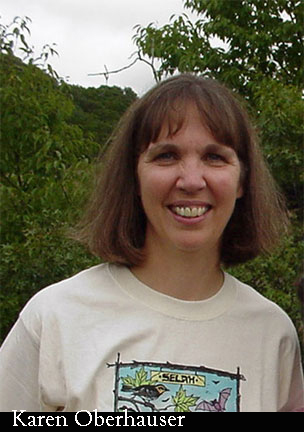 Karen Oberhauser is the director of Monarchs in the Classroom (http://monarchlab.org ) and the Monarch Larva Monitoring Project (http://mlmp.org ) at the University of Minnesota. These programs use monarchs to teach about biology, conservation, and the process of science. She and her students and colleagues have studied monarch biology since 1984. She is the chair of the steering committee of the Monarch Joint Venture ( http://monarchjointventure.org ), and on the Monarch Butterfly Fund (http://www.monarchbutterflyfund.org/) board. Karen lives in Roseville, Minnesota, with her husband and has two grown daughters who both like monarchs. Karen has been a guiding force behind many of Bas Relief's books. Milkweed, Monarchs and More, was originally created as a tool for the Monarch Larva Monitoring Project. With editing help from Karen and her staff and colleagues, Milkweed Monarchs and More has reprinted as both the Enlarged and Updated Second Edition of Milkweed Monarchs and More and Milkweed Monarchs and More, Updated Second Edition, Field Version. Karen and Monarchs in the Classroom were also instrumental in the creation of Bas Relief's children’s books. Karen discovered Mary Holland's Milkweed Visitors project, worked with Mary and Ba Rea to perfect and polish it and invested in the initial printing costs. She also contributed valuable editorial and professional advice in the production of Monarch Come Play with Me. The Spanish version of Monarch Come Play with Me, ¡Monarca Ven! Juega Conmigo was Karen’s suggestion as well. All of these books are available retail through the Monarchs in the Classroom store.